A perfect blend of Pure Tung Oil and natural, food grade thinner. One part Pure Tung Oil mixed to one part Citrus Solvent. Most projects require the thick viscosity of Pure Tung Oil to be thinned for better absorption into the surface. Half & Half is the perfect ratio for projects large and small. We’ve done the mixing so you don’t have to! 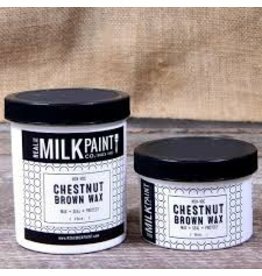 This is pre-mixed Pure Tung Oil and Citrus Solvent from the Real Milk Paint Co.
We found that is most cases the Pure Tung Oil is too thick to penetrate most surfaces. Thinning with a natural solvent helps the oil penetrate deeper into the material. 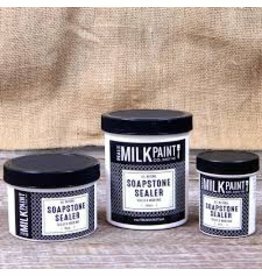 The 1 to 1 or Half & Half ratio works great all around for most surfaces like new raw wood, butcher block countertops, cutting boards, concrete, terra cotta clay pots, stone, and slate. This finish is also food contact safe! 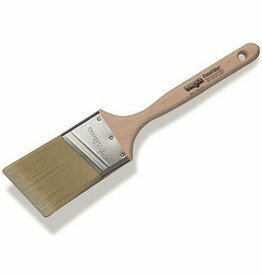 Generally, 3 to 5 coats are needed to seal and waterproof. This all-natural finish does take 7 to 10 days to develop a water resistance and a full 30 days for a complete cure. A quick way to see the color of your surface before oiling is to just wet with water. The way it looks wet but not glossy is the color you have when the oil is dry! Can be mixed with any other of our Tung Oil Products (i.e. Pure Tung Oil, Dark Tung Oil, Dark Half, Outdoor Defense Oil).